I studied applied mathematics at Voronezh State University, where I obtained M.Sc. degree. My Ph.D. degree in Operational Research and Computer Science I gained in Kiev Institute of Economics (both former USSR). 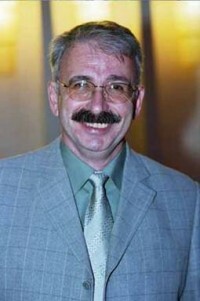 I held different positions in Research and Design Institutes, was Chief Designer Deputy of Computer Aided Design Systems of Machine-building Plant, held fellowship at Volgograd Civil Engineering Institute, renamed into Volgograd State Architectural and Engineering Academy, where I was a Department Chair and Associate Professor of the Applied Mathematics and Computers Department. After emigration to Israel in 1991 I took a lectureship in Calculus, Reliability Engineering and Statistical Inference at Ben Gurion University of the Negev and Sapir Academic College and later became a Senior Lecturer on The Department of Industrial Engineering and Management, Sami Shammon College of Engineering (SCE), Israel . In 2005 I have organized in SCE the Center for Reliability and Risk Mangement (CRRM) and become Chair of this Center. My current research interests are in reliability theory with application to preventive maintenance, stochastic processes, modeling, simulation and optimization of production and service systems. My hobby is stamp collecting. I'm a Member of the Working Committee of the Israel Philatelic Federation, Vice-President of Thematic Stamps Association of Israel and President of the Ashqelon Philatelic Society. I'm a member of American Philatelic Society, ATA, Internationale Motivgruppe "Eisenbahnwesen" E.V., Belgian Study Circle and other organizations.